My favorite novel is Charlotte’s Web. 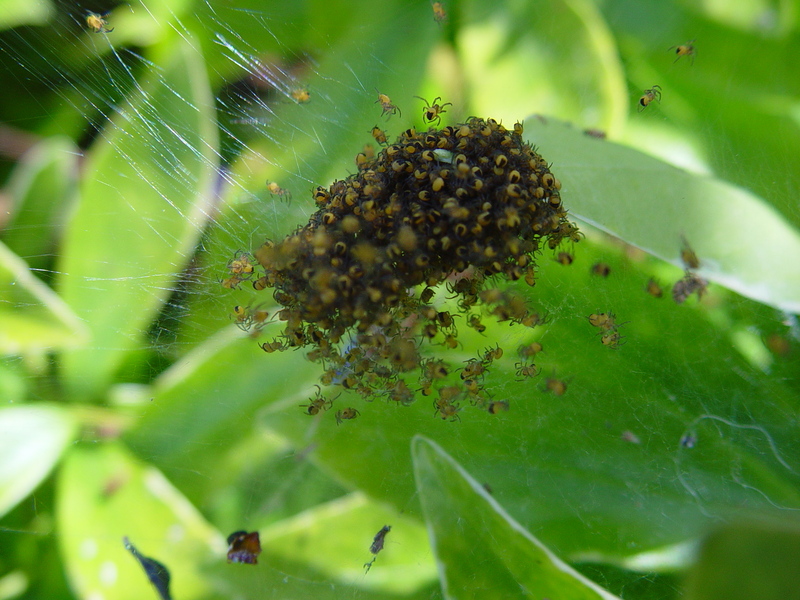 I thought of that today while watching a pod of baby spiders hatching on my daphne plant. Click on the photo to get reeeally up close and personal. Susan, how did you get anything done that day ? How very cool. Oh, I’m going to be itchy all day now. I like CARTOON spiders. I understand they’re important, but I would like the 8-legged friends to reside OUTDOORS. There is a really cool special features clip on the new Charlotte’s Web of spiders being born and flying into the sky. The filmmakers were all a flutter because they were all into spidery stuff for the movie. It’s just like the movie, too. I just recently bought the book for the baby when she was only 6 weeks old. Can’t start too early!